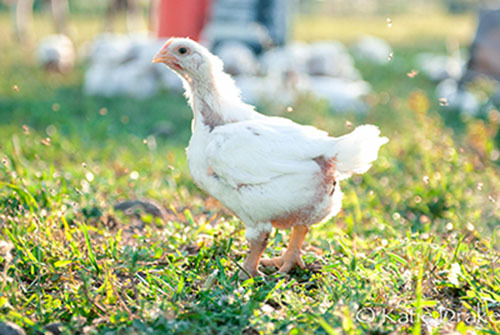 These chickens are raised outside, in the sun, on the grass and fed organic grain. They are harvested on site here at the Book Family Farm. They are available for pick up here at the farm on day of harvest. You can't get any fresher than that! 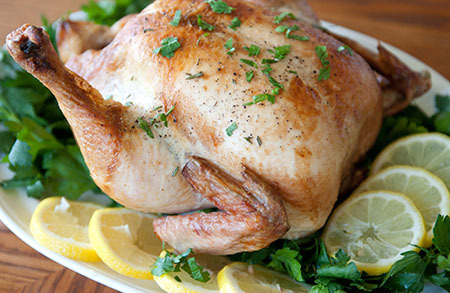 The quality, integrity, and texture of our meat is superior to conventionally grown chickens. They spend their day eating bugs and grass and just lounging around enjoying chicken life as opposed to being in a cage or a building. They are not fed any antibiotics or growth hormones! 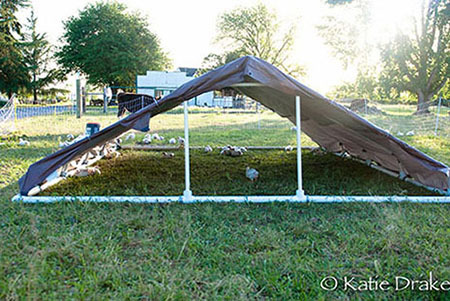 We provide a movable shelter (chicken tractor) for shade and to protect against predators. This chicken tractor gets moved each day so that the chickens do not stay on their own manure and they are provided with a new "salad bar" each day.